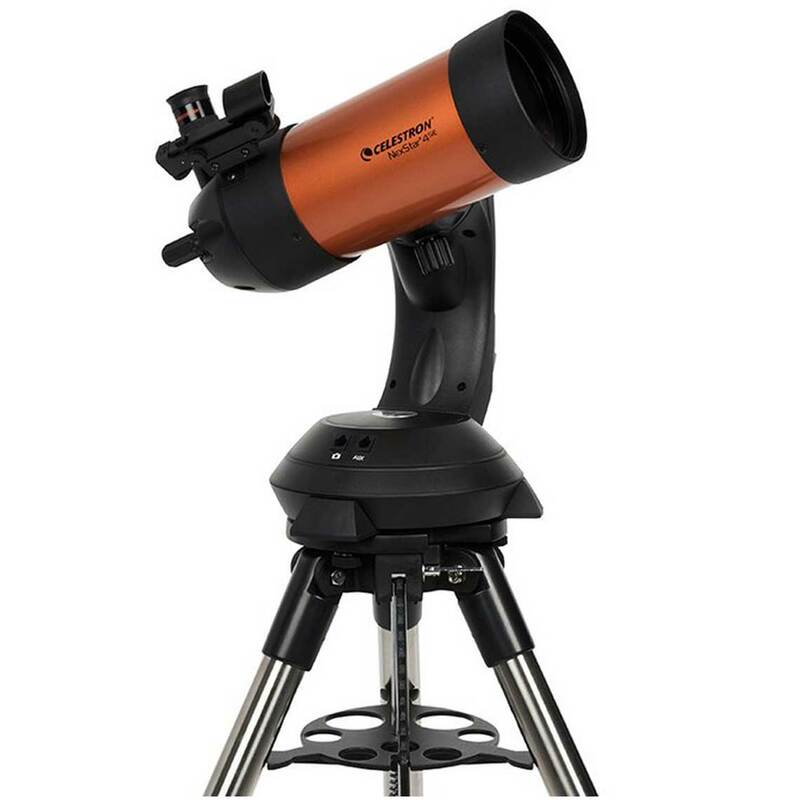 Featuring high-quality Maksutov-Cassegrain optics, the 4" aperture NexStar 4SE is an ideal telescope for observing and photographing the wonders of space. 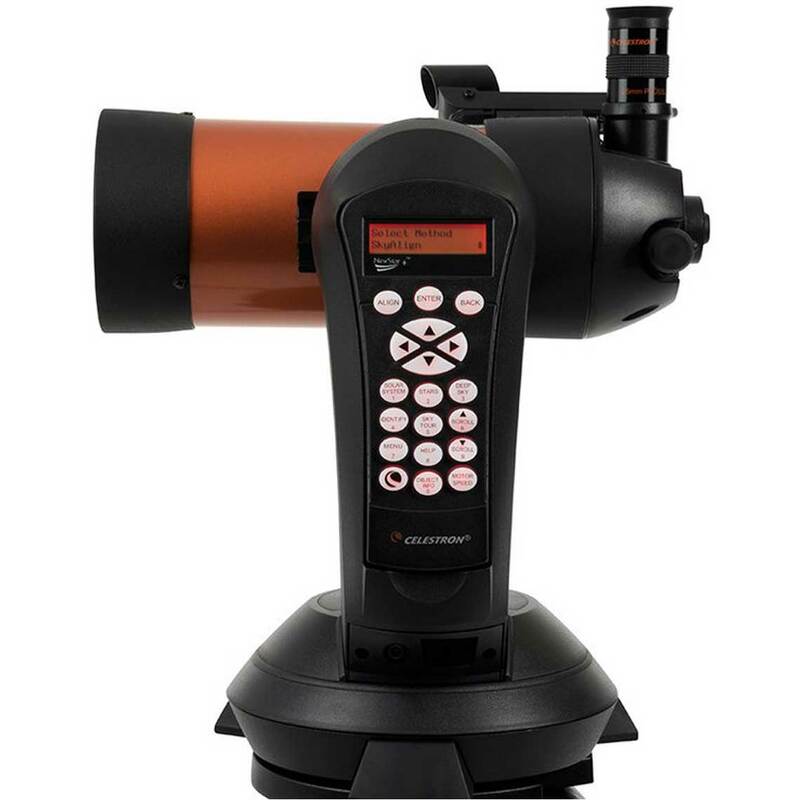 With a total weight of 21 lbs including the tripod, the ultra portable 4 SE features a precision optical system with 1,325 mm focal length (f/13) and is the first Maksutov system to ever feature our premium StarBright XLT coatings. 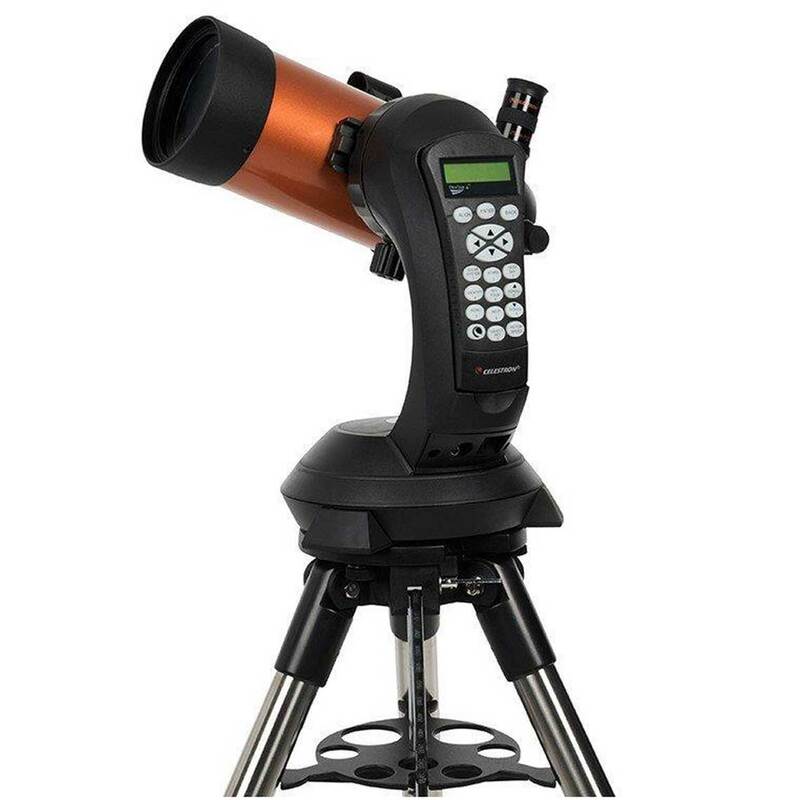 The 4 SE includes a camera control feature that allows you to remotely take a series of timed exposures using your digital SLR camera. 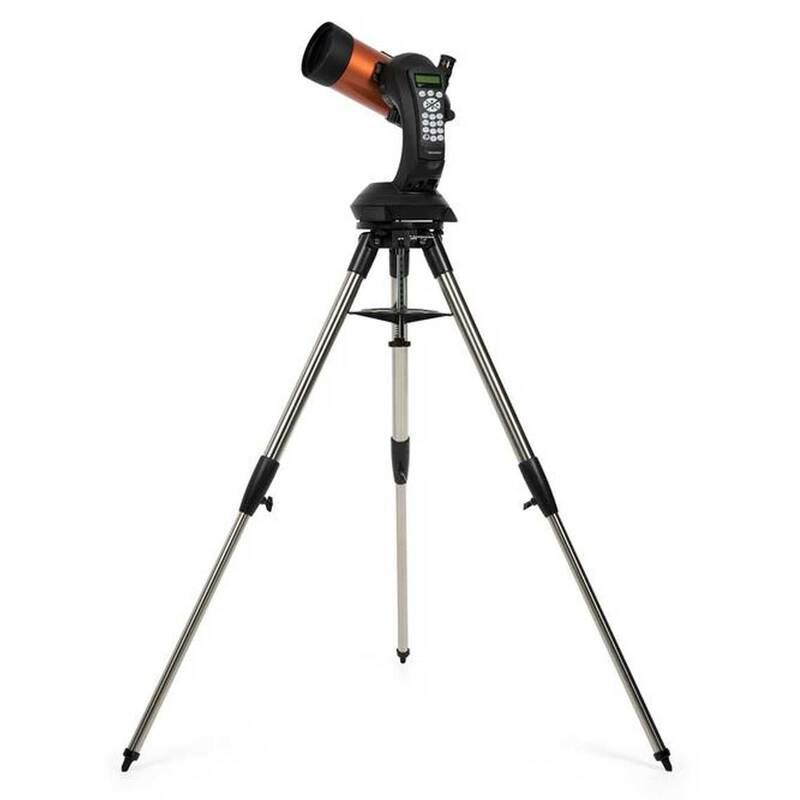 Plus the Flip Mirror Control, Straight Through Photographic Port and Tripod, featuring a built-in wedge, help make short-exposure astrophotography a heavenly experience. 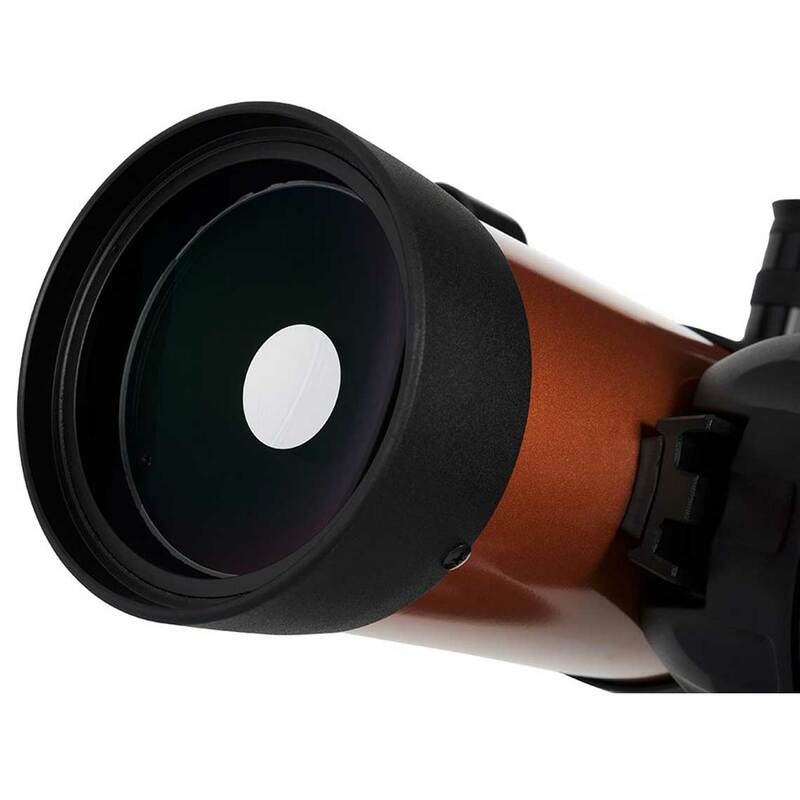 Internal flip mirror for convenient viewing straight through (with optional diagonal) or at 90 degrees. 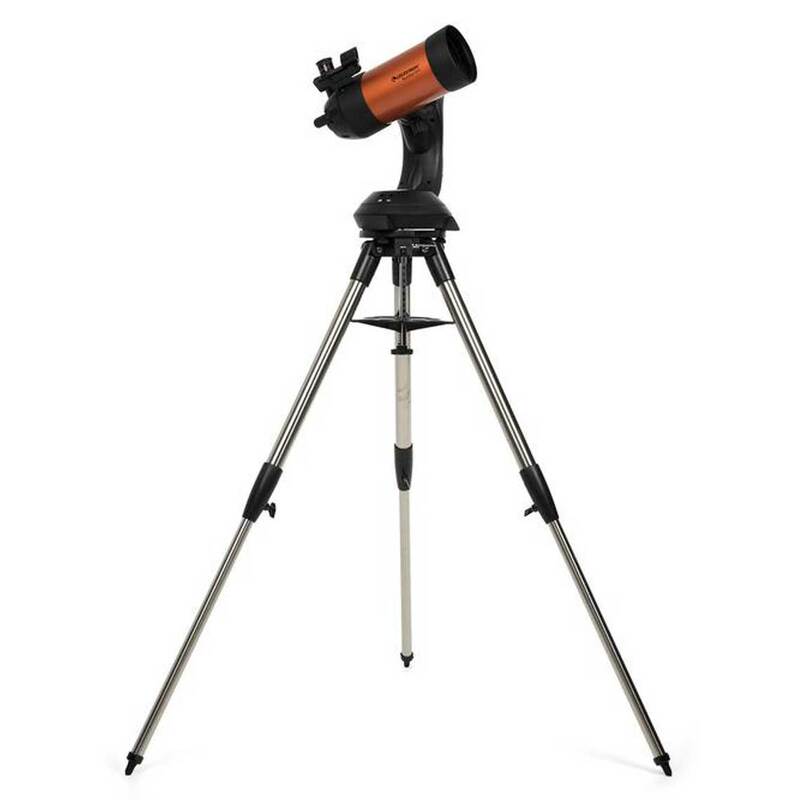 Ultra sturdy steel tripod features built-in wedge which allows 4 SE to be used for astrophotography.